Denison Mines Corp. (TSX:DML)(NYSE MKT:DNN)(NYSE American:DNN) is pleased to report a new high-grade uranium intersection in basement rocks from the first hole completed as part of the summer 2017 drilling program at the Waterbury Lake property. 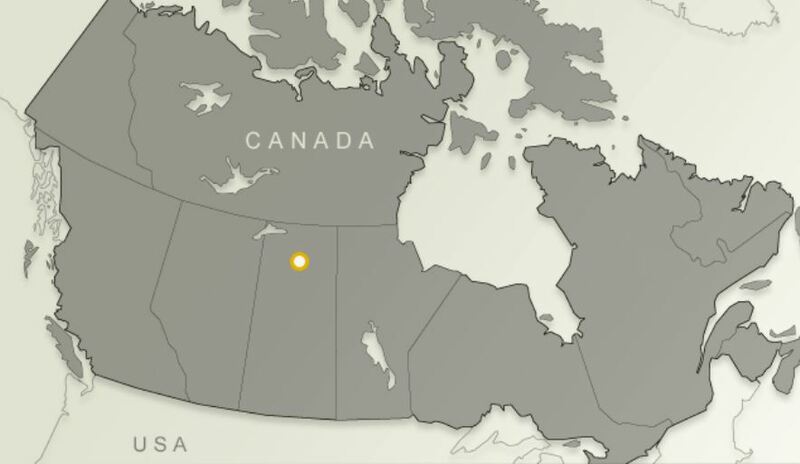 Drill hole WAT-17-443 intersected 1.1% eU3O8 over 0.8 metres (from 296.9 to 297.7 metres) approximately 1.5 kilometres to the northeast of the property’s J Zone uranium deposit. The high-grade mineralization occurs immediately below a broader 10.3 metre mineralized interval (from 282.8 to 293.1 metres) with an average grade of 0.15% eU3O8. The mineralization is open in all directions and follow-up drilling is presently underway. Results are reported as preliminary radiometric equivalent grades (“eU3O8”) derived from a calibrated downhole total gamma probe. The Company subsequently reports definitive assay grades following sampling and chemical analysis of the mineralized drill core. Drill hole WAT17-443 was orientated steeply to the southeast (azimuth 157°, dip -73°) and intersected the sub-Athabasca unconformity at a depth of 212 metres, followed by a moderately north dipping package of basement rocks dominated by semi-pelitic gneisses. Mineralization was intersected approximately 70 metres vertically below the unconformity in semi-pelitic gneiss and was associated with strong hematite alteration, bleaching and faulting – features typical of basement-hosted uranium mineralization within the Athabasca Basin. The true thickness of the mineralization is yet to be determined. The drill hole is the first of a planned six-hole program to test an east-west trend which shares interpreted geological similarities with the east-west trend that hosts the J Zone and Roughrider deposits, which are located approximately one kilometer to the south. The location of drill hole WAT17-443 and the J Zone and Roughrider deposits are provided in Figure 1. The J Zone deposit, located on the Waterbury Lake property, occurs at the sub-Athabasca unconformity and is estimated to contain indicated resources of 12.8 million pounds U3O8 based on 291,000 tonnes of mineralization at an average grade of 2.0% U3O8. The Roughrider deposit on Rio Tinto’s Roughrider property is located immediately along strike to the east of J Zone deposit and occurs at the sub-Athabasca unconformity and below within the basement rocks. Prior to acquisition by Rio Tinto in 2012, the Roughrider deposit was estimated to contain indicated resources of 17.2 million pounds U3O8 based on 394,200 tonnes of mineralization at an average grade of 1.98% U3O8 and inferred resources of 40.7 million pounds U3O8 based on 161,600 tonnes of mineralization at an average grade of 11.43% U3O8. The Waterbury Lake property consists of multiple claims covering 40,256 hectares, and is located in the infrastructure rich eastern portion of the Athabasca Basin region in northern Saskatchewan. The property is jointly owned by Denison (63.63%) and Korea Waterbury Uranium Limited Partnership (“KWULP”) (36.37%) through the Waterbury Lake Uranium Limited Partnership (“WLULP”). KWULP consists of a consortium of investors in which Korea Hydro & Nuclear Power (“KHNP”) holds a majority position. KWULP has elected not to fund the 2017 exploration program and, as a result, will incur dilution of its ownership interest in the WLULP.